My impulse to bring more cash than usual on a trip, $200 this time, was immediately justified, as I have yet to find an ATM machine here in Madagascar that will accept my Master debit card--not the pair at the airport nor four in the capital of Antananarivo, a city of 1.4 million. I needed $27 of that stash upon arrival, as I unexpectedly had to purchase a visa, contrary to the information at the Madagascar website--one month or less was supposed to be free. 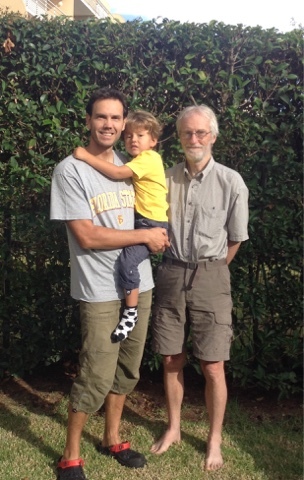 I haven't totally abandoned hope of finding an ATM that will accept my card, as my Warmshowers host Juerg, who has lived here for a year with his wife and son, said his cards are occasionally rejected, but eventually accepted. There is no predicting nor explaining. 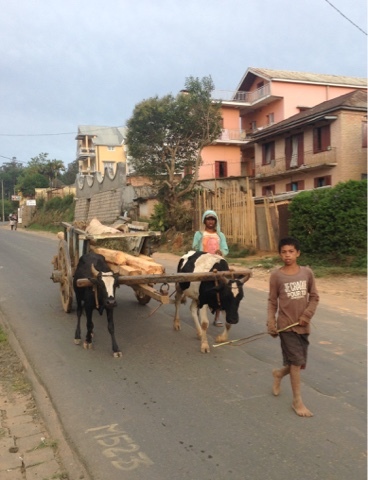 There is much in Madagascar that doesn't conform to the norms. Juerg is Swiss and not easily rattled. He's learned to not despair when things aren't as he wishes here. He's not even alarmed by Trump, or at least just yet. He thinks he could be an interesting experiment. I changed $100 at the airport at a reasonable rate and with no commission. That could last me a couple of weeks if have no accommodation expenses, hopefully camping wild as I usually do. Madagascar is one of the poorest countries in the world. It ranks 151 of 181 countries in average income. More than eighty per cent of the population earn less than $200 a year. Since I'll only be here a month, and the short one at that, I could well have enough US currency to get me through. That may deprive me of as many cold drinks as I would like, but that will make me feel a little more like a Malagasy. Plenty of them bike, some thanks to Juerg's wife Gaby. She's works for UNICEF and tries to get bikes donated by the international community. It's not as easy task, as Madagascar doesn't have that high of a profile among the donor class. With the cost of a bike well over a quarter of the average Malagasy's annual earnings, someone on a bike is truly blessed, but that applies everywhere. One of the bikers helped guide me through Antananarivo's thick traffic shortly after I arrived on my ten-mile ride from the airport to Juerg's apartment in a gated community. 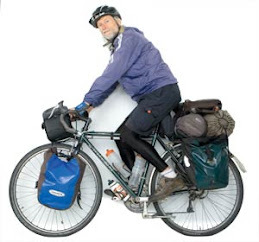 I was about half way there, negotiating the traffic-clogged two-lane national highway carrying my bike box under my right arm. I knew I would soon be turning off the highway and asked a cyclist the way to a large park that was one of my landmarks. He said he was headed in that direction and to follow hiim. After a few blocks we left the highway and rode a dirt path for a couple of miles that was atop a dyke separating a river from a stretch of rice paddies. There were other cyclists on the path and puddles of water to dodge. It was approaching nightfall. There were flashes of lightning in the distance over the high hills. I was racing the dark as well as the rain, but only at seven miles per hour. After fifteen minutes we reached a paved road. My guide stopped and told me he was turning to the left while I had to go to the right. He drew a map for me. By the time I reached the park it was dark and I still had a couple of miles to go. I wasn't the lone cyclist, but I was the only one with lights and a helmet. There was still lots of traffic, but it wasn't going very fast and it was mostly compact cars not hogging the road. I needed to use my GPS device and ask directions several times, but I wasn't regretting at all that I had opted to bike and not resorted to a cab. It was just what I needed after my long transit--eleven hours to Istanbul, a ten-hour layover, an eight-hour flight to Mauritius and then ninety minutes to Madagascar after ninety per cent of the passengers disembarked and no others boarded--the first indication of how little interest there is in Madagascar. When I finally found the entrance to Juerg's gated community one of the security guards hopped on a bike and led me to my destination a few blocks away in one of a row of four-story complexes on Ronald Reagan Way. Juerg couldn't explain how it gained its name. It was only ten years old. A lot of US embassy staff reside there, but far from the majority of the residents. Since I was later than expected, Juerg and Gaby had already eaten but had some dinner for me. I still had perishable food that I hadn't eaten so I finished that while we sat on their porch in the pleasant 70 degree temperatures. 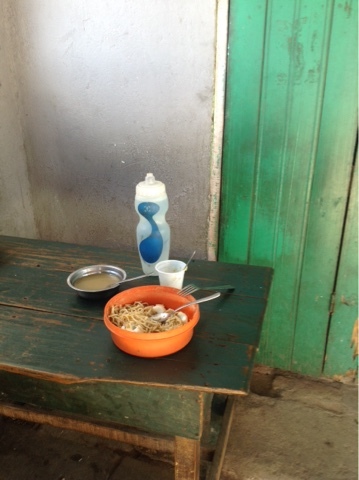 We talked cycling, as Juerg also biked South America top to bottom, and UNICEF, which Gaby serves. They had last been in Peru for four years before beginning this four-year assignment. They had also served in Laos and Kazastan. There was no shortage of subjects. 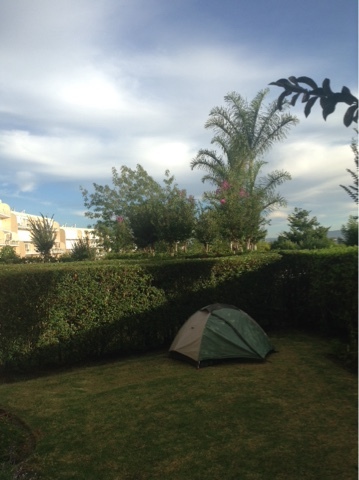 I had my choice of the guest bedroom or pitching my tent in their small courtyard. I was delighted to be the first to camp there. Gaby was off early the next morning for a meeting with the Finance Minister so she missed out on the photo op taken by their cook and housekeeper. Juerg's Florida State t-shirt acknowledged Gaby's alma mater where she earned a degree in economics before gong to Oxford for a Ph.D and then Yale for more study. UNICEF is certainly lucky to have someone so highly qualified and committed. Juerg is hoping her next assignment will be in Switzerland at the UN offices in Geneva. That will ease the difficulty of visiting family, though it won't totally resolve it as Gaby's family is Mexican, residing in Puebla where she grew up. I was eager to dive into the country, but first Juerg led me to a mall complex where I could get a SIM card for my iPad and try some ATMs. After completing those chores Juerg pointed the way for me to the downtown and National Highway 7 that would take me south to the Allée des Baobabs on the west coast of the island 400 miles away. There was no point of him leading the way as the traffic didn't make for such pleasant cycling nor the heavy pollution, which he does his best to avoid. There are lots of remarkable sites to see on this huge island, exceeded only in size by Greenland, Papua New Guinea and Borneo. I will have to be selective in what I see. There are national parks with wild and eccentric rock formations teeming with lemurs and beaches galore and even a fireplace designed by Eiffel. But I am not here so much to see the sites, but rather to have a good bike ride and gain an understanding of this isolated island. It is one thousand miles top to bottom, more than the circumference of Taiwan that I biked a year ago. Unlike Taiwan and Iceland and most islands, it does not have a road that circles it. What coastal roads there are barely qualify as roads. Cyclists who attempt them end up pushing their bikes through miles and miles of sand and rely on dugout canoes to cross many rivers. They are even a challenge for Four Wheel Drive vehicles. Many are impassable in the rainy season, which is now. Antananarivo resides on the highlands at over 4,000 feet. My ride south has so far kept me in the relative cool of the highlands where the majority of the island's twenty-four million people live. The road has climbed as high as 5,700 feet. It was up and down with hardly a flat stretch the first fifty miles. If I weren't carrying weight I might have avoided my small chain ring, as the climbs haven't been excessively steep or prolonged, just unremitting. Small rice paddies flanked the road where the soil permitted. 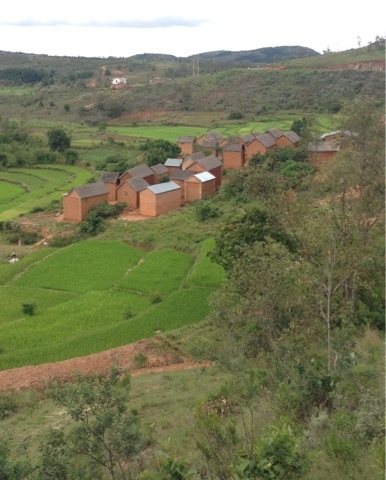 Mostly the terrain was deforested hillsides, the shame of Madagascar. Only ten per cent of the forests that covered the island and greeted the first humans to reach it from South Asia two thousand years ago remain. Although it is only 250 miles off the coast of Tanzania, just below the Equator, the Africans of that era weren't seafarers, and didn't populate Madagascar until later. In the following centuries the two peoples have thoroughly intermixed with most of the island's people now sharing equal amounts of DNA from East Africa and South Asia. Madagascar's size and isolation, earning it the nickname of the Eighth Continent, has bred a flora and fauna found nowhere else. Some eighty per cent of the plant and animal life is unique to the island. There are 100 lemur species and sub-species, a primate with a cat face that are found only here. It is the largest mammal on the island. Madagascar may be considered African by proximity, but it broke off from India 100 million years ago and drifted over to Acrica. It contains none of the big game synonymous with Africa, not even monkeys. There are no dangerous animals, not even venomous snakes, other than a small panther. Despite the deforestation, which was a true blight from the air flying in, most of the population relies on firewood and charcoal for their cooking and heat. I haven't heard any chain saws yet, but I did see recently felled trees being transported on the national highway. The relaxed small towns, some with rickshaws, were a refreshing tonic after the hive of humanity thronging the sidewalks and streets of the bustling capital. Small cafes had food on display. I stopped twice for noodles and hard-boiled eggs that I spotted in glass cases and put my trusty Tupperware bowl to use. At sixty cents for such a meal, my limited monetary supply might stretch to allow me an occasional thirty cent cold soda. I was an attraction drawing a good crowd at one town's water pump as I used my water filter for the first time. But the highlight of my first day on the road was finding a patch of scraggly trees at dark to camp in. All is well with the promise of another memorable adventure to come. Wow. I really know nothing of Madagascar. But I have just seen this rampant deforestation in Myanmar, and it is depressing. I will now read the next posts.